Open House Dublin 2015 This Place We Call Home saw the return of the Irish Architecture Foundation's Big Debate with the title 'The Way We Build Now.' 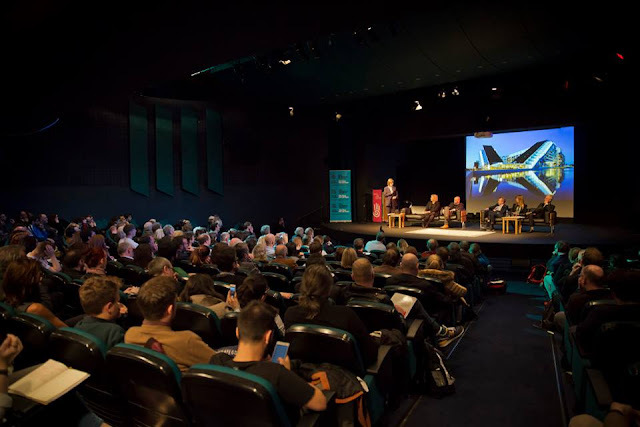 This public event took place in Liberty Hall on Wednesday 14 October. IAF Director Nathalie Weadick kicked off proceedings with a panel chaired by ESRI Director Prof. Frances Ruane. 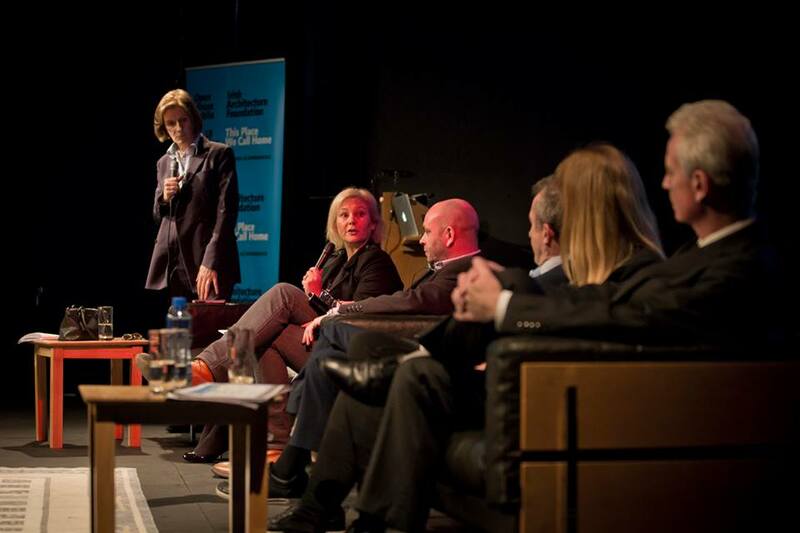 The debate discussed the where, what, and how we build – a crucial concern in the future development of Dublin. More than an issue of quantity and type of units, the way we build now will determine the quality of our city and its living standards for generations to come. 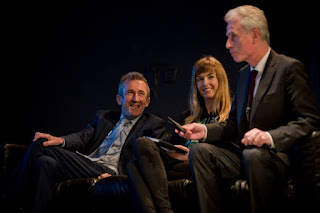 President of the RIAI Robin Mandal also made a statement at the end of the presentations regarding the publishing of their Housing Policy Architectural Solutions to Building a New Ireland on 29 September 2015 RIAI Housing Policy. As Frances Ruane remarked housing and homelessness is on the news on a daily basis in Ireland. This issue is not the remit of any one profession and needs the input from a range of professionals if we're going to have good quality and affordable housing. 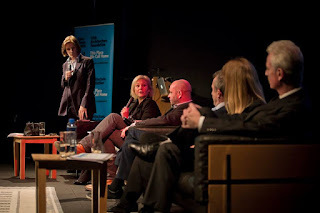 The multi-disciplinary aspect of the panel was crucial to the debate. Each panelist was given just 8 minutes to present on this topic. First speaker was Ian McShane(@mcshanebanda)from Behaviour & Attitudes, who presented insights of apartment dwellers in Dublin from a survey commissioned by the IAF. The purpose of the survey was to identify the positives and negatives of apartment dwelling in 2015 from the point of view of tenants and landlords. So what is so great about Dublin apartment dwelling? Findings were positive for younger, white collar professionals living in the south of the city. They cited open plan living space in a modern design located close to shops and where they work and he availability of designated parking. Almost as many negatives were identified as positives by apartment dwellers. The main criticisms includes things like lack of living space, lack of storage space, noise levels and lack of garden/outdoor space/private balcony and lack of effective management company. An analysis of their longer-term living intentions suggested that apartment living has become enmeshed in Ireland's socio-cultural milieu for the foreseeable future. Almost half if those who are currently renting their apartment privately said that they intend on buying an apartment in the future. The second speaker was Dr Lorcan Sirr (@Lorcansirr) a lecturer on housing in DIT. Lorcan blinded the audience with statistics on the issues and needs of the Private Rented Sector, a much neglected sector in Ireland. About one fifth of all households live in the private rented sector (18.5%), 61% of those in that are single people; they occupy an average of 3.9 rooms; the average rent in Dublin at the moment is €1,368 per month; one third of renters don't have a clue about their own rights. In terms of of living 35% live in apartments/flats, 27% semi-detached, 18% in terraced and 17% in detached houses, 45% would be happy to rent long-term if they had more security of tenure, the average landlord has been a landlord for 9 years, they got into the game when they were about 51 years of age, 91% have 3 or fewer properties, 36% are accidental landlords and 95% are Irish, the rest are mostly British. Of the 71% of landlords who have a mortgage about half of them say that the rent doesn't cover the mortgage, 65% of landlords work full-time and 47% of properties inspected by Dublin City Council last year were found to be in breach of regulations. There are 700,000 people in the private rental sector and 10,000 new people are entering the private rental sector every month- it is a hugely important sector. Rent Issues: property is regarded as an asset as your pension isn't going to cover your rent or your mortgage when you get 65 therefore you need to buy somewhere and have it paid off when you are 65 (not very good for renting). We have an aging population, therefore there will be fewer people working in order to help us pay those pensions. One third of households are going to end up renting forever which is tied into pension issue. There's a stigma around renting. The focus on foreign direct investment is going to exacerbate the issues in the private rented sector. Lorcan called for a cultural shift as it's a huge important part of Irish society. There is no model in the private rented sector for single-person design. We need more landlords, certainty of rent by regulating the private rented sector and lack of awareness about this sector. 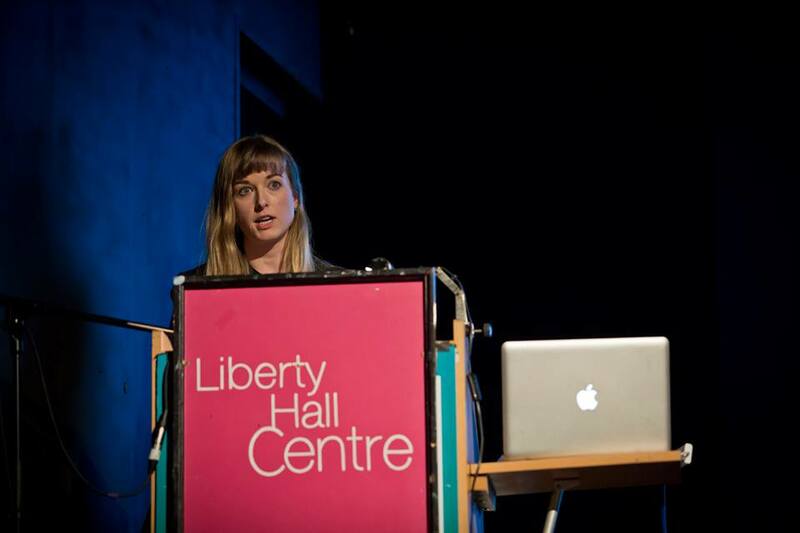 Next speaker was Claire McManus (@mcmanclaire) an architect (member of the Council of the RIAI) and director of Open Architects founded in 2005. Claire spoke about Community-Led Housing and in particular self-build pilot-scheme project she is collaborating on with Dominic Stevens Architects in Dún Laoghaire. Claire spoke about expensive ugly housing designed during the Boom years. Houses were just seen as investment for people and not an investment in design. 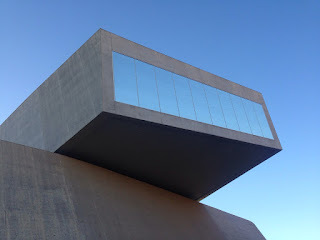 Little regard for urban design, place-making or topography or orientation. Small developments are the answer which will contribute to the existing communities around them. Fourth speaker was Kieran Rose, (@kieranarose) a town planner and involved in drafting the current Dublin City Council standard for apartments and the submission to the government in 2013 proposing the vacant land levy (there are 60 hectares of vacant land in Dublin city) and now included in the Urban Regeneration Land Act in 2015. 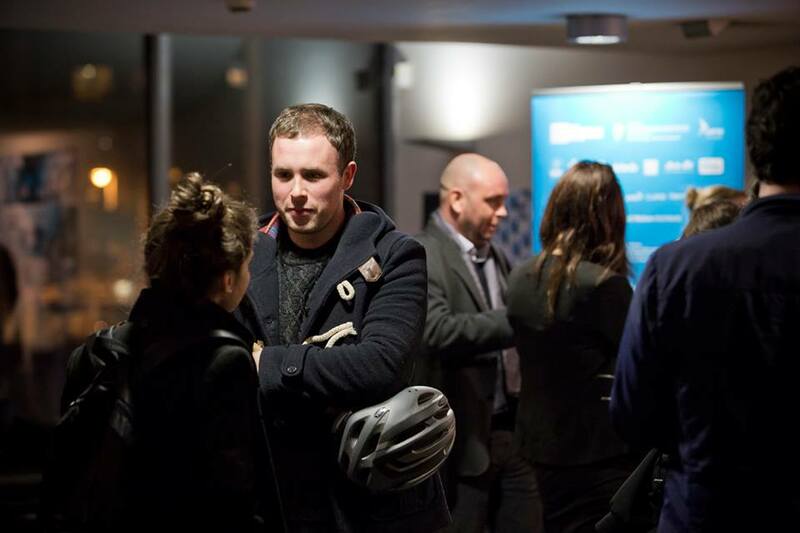 An edit transcript of Kieran's talk can be read in this article in Dublin Inquirer. Final speaker Geraldine Kennedy is the director of the Sheelin and Embassy Property Groups. Speaking about the housing situation from the perspective of a professional landlord and property developer. Remarking on the professional backgrounds of the speakers Robin Mandal made the comment that he does "get a little bit weary of economists and academics talking about a sphere in a way that architects have a much more holistic view" on solving the housing crisis. 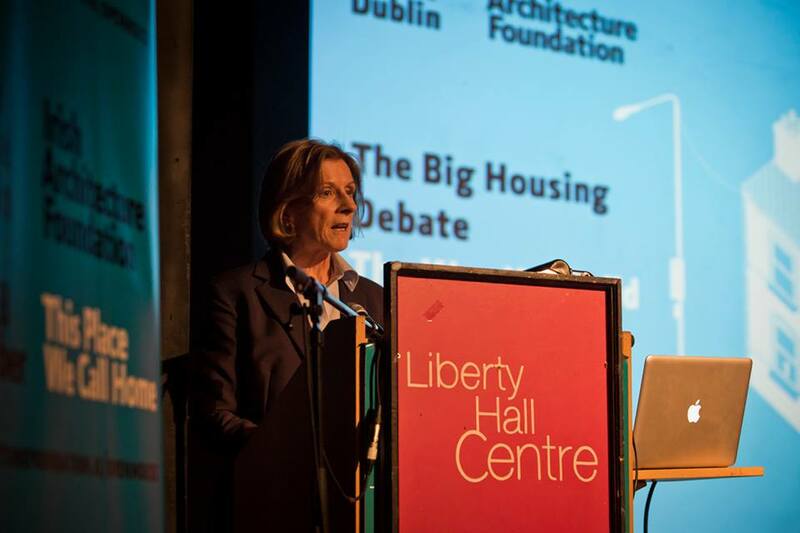 Frances in her closing comments responded to Robin saying that architects of course have a major role to play in solving Dublin's housing problem but that these houses/apartments are built in a space and this space has an economic and a social rationale. Undoubtedly luxury apartments are somewhat costly but they offers comfortable mode of accommodation. Such type of housing is very convenient means for professional stay.